Millions of homeowners risk having their homes burgled due to their inaction when the clocks go back at the end of October, latest research by insurer Policy Expert shows. Despite figures from the Office of National Statistics revealing that 1.3million householders will get home later this winter than last, more than a quarter won’t be taking any additional security measures when daylight saving time ends. However, Policy Expert’s survey also shows that a sensible majority do at least become more safety conscious as a result of the time change. The most popular anti-theft action taken is to set lights on timers when the home is left unoccupied (44%). The second most common measure, taken by almost one-in-three, is attempting to wrong-foot thieves by closing curtains. Additional security lighting is installed by one-in-five (19%), while just over one-in-six (17%) switch on a TV or radio to make it seem like someone is at home. Another one-in-ten (10%) actually scurry back from work early, or at least very much on time. The least popular measures, probably due to cost, are improving the quality of a home’s locks (7%) and upgrading alarm systems (3%). Many have existing security already in place, Policy Expert’s stats show. 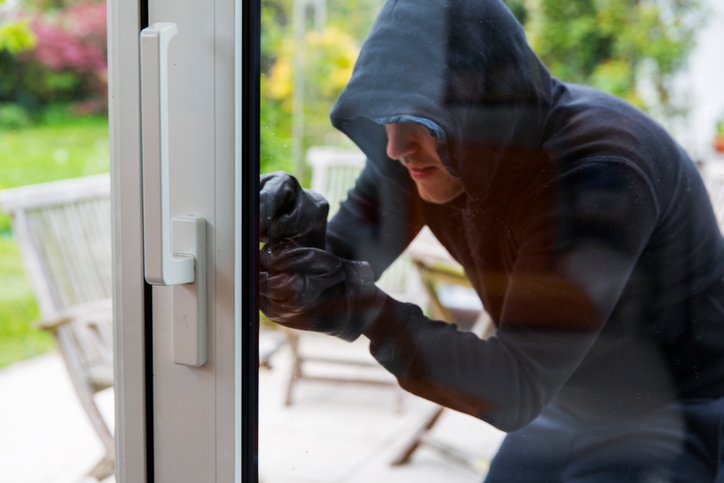 Almost two-thirds (70%) have invested in external security lighting while close to one-in-two (44%) have deliberately grown the types of plants and hedges which burglars find hard to get over or around. A good number of householders, 43%, have existing timer switches for lights and a commendable 35% belong to a Neighbourhood Watch scheme. Almost one-in-three (32%) have a property with an alarm fitted and/or a dog (32%). Some have even gone to the perhaps extreme lengths (‘extreme’ being relative to location) of installing security cameras (10%) and barbed wire (2%). Security is big business and Brits have spent an average of £485 burglar-proofing their homes as best they can, Policy Expert’s figures also reveal. And a significant number have spent a lot more, with one-in-ten (10%) putting the figure at over £1,000 and 3% saying it’s more than £3,000. Street lighting is welcomed almost universally, with 80% stating it makes a neighbourhood feel safer. At the same time, almost one-in-ten don’t have any street lights where they live however and only 2% of these believe they actually need them installed. A minority of one-in-ten (10%) say street lighting is too intrusive and 3% say it’s too bright and a nuisance. Some householders (14%) worry more about leaving their homes empty while they’re at work as the evenings get longer, but one-in-five (20%) say they try not to think about it. We’re here to help our customers to compare insurance products and find a policy that’s right for them. Customer care is at the heart of everything we do and we have a dedicated customer service team on hand by phone, email, twitter and instant chat. For more information, you can call our experts on 0330 0600 600 or visit www.policyexpert.co.uk/contact for more ways to reach us.